Want to add a nice breeze to your outdoor area during the hot summer days? We got you covered. At Senor Mist, our fans not only add an attractive component to your patio, we also offer fans with built in misting systems. Whether you're a homeowner looking for a more comfortable yard, or a business owner trying to please hundreds of customers, our fans provide a cooler environment for any situation. HVLS(high-volume, low speed) fans deliver previously impossible levels of performance! A selection of energy efficient HVLS fans include both a three (Alite 3) and a five (Altra-Air & Axiom) blade design can move more air than ever before with up to 20% more efficiency. HVLS Fans & Hurricane Turbines can work in conjunction to provide ideal and efficient ventilation. Quiet, efficient operation, no annoying high speed circulating or exhaust fans. Variable frequency drive provides soft start and full variable speed operation. Inexpensive to operate. Costs approximately 6 cents per hour for one fan at 0.75 kW (1 HP). Wind sensor, Temperature and zone control options available. 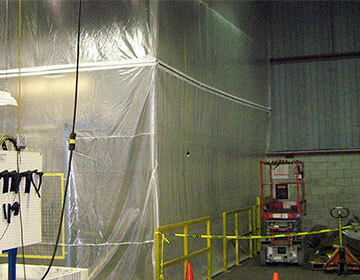 Greatly reduce the “recovery” time when overhead doors are open with a constant flow of air throughout the space. Provides a constant even temperature from floor to ceiling and wall to wall. Will minimize the need for expensive duct work in new construction for both heating and air conditioning systems. A comfortable workplace environment increases productivity and decreases absenteeism. Axiom Fan’s unique blade design doesn’t just look good; it deploys the same modulated blade technique utilized in advanced stealth helicopters. From showrooms to restaurants and atriums to office spaces, the Axiom Fan’s creative touch of ambiance enhances the comforts and aesthetics of each space. The sleek, ultra-modern design allows for a magnitude of customizable finishes from vibrant red to brilliant chrome & every imaginable color in between. largest and most efficient in the world.